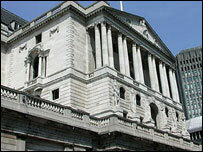 A man has been arrested in New Zealand over an alleged £28bn conspiracy to defraud the Bank of England. Police said Brian Archer, 59, will face extradition to the UK when he appears before a court in Tauranga. The alleged scam involved an audacious bid to cash rare bank notes with face values of up to £500,000. Six other people are on trial at London's Southwark Crown Court, where prosecutors said the plan was flawed as £500,000 notes never existed. The court has heard how the gang, including an Australian solicitor, told bank officials the notes were owned by former Chinese nationalist officials, one of whom was 116 years old. But prosecutors said genuine £500,000 notes never existed and only 63 £1,000 notes were unaccounted for by the bank. All six men deny one count of conspiring to defraud the Bank of England between 1 December, 2006 and 27 March this year. The trial, expected to last six weeks, continues.